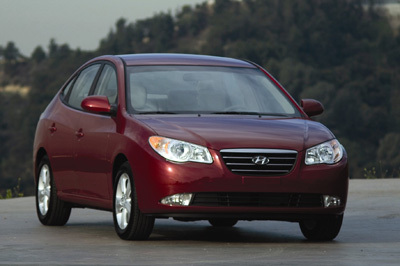 Consumer reports put out their list of the top ten cars for 2008. Of the top ten cars 7 were Japanese cars, 1 was American, and 2 were Korean! The Hyundai (which by the way is pronounced hyun-day, not hun-die) cars to win the honor are the Elantra and the Santa Fe. It is a big step for Korean automakers. It wasn’t too long ago that they weren’t exactly known for their build quality in the US. I hope you’ve all seen The Little Mermaid, because this will pretty much be meaningless if you haven’t. 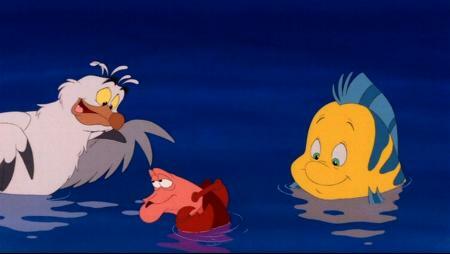 One of Ariel’s friends is a rambunctious seagull named Scuttle. My favorite part of the movie is right before Sebastian & Co. start singing “Kiss the Girl.” Scuttle recognizes that the situation calls for a little mood music…and begins warbling, garbling, and screeching his way through what can’t really be considered a song of any sort. It really isn’t even music. Anyway, you should watch it again, because it’s a great part. Eric says that someone should put the bird out of its misery. Haha. 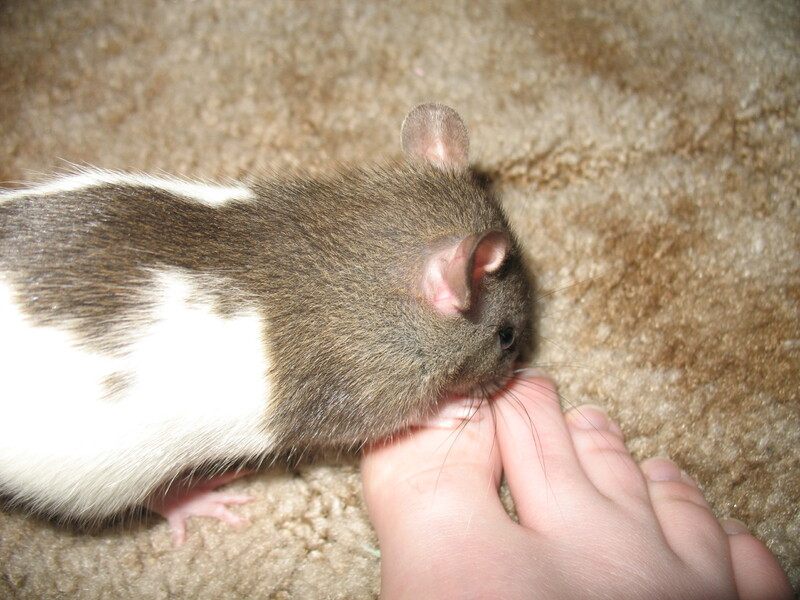 Sorry to disappoint those of you who suggested names, but after spending more time with my rat, I came to the inevitable conclusion that his name is Scuttle. In the past week I’ve had three or four completely unexpected but absolutely fantastic surprises. 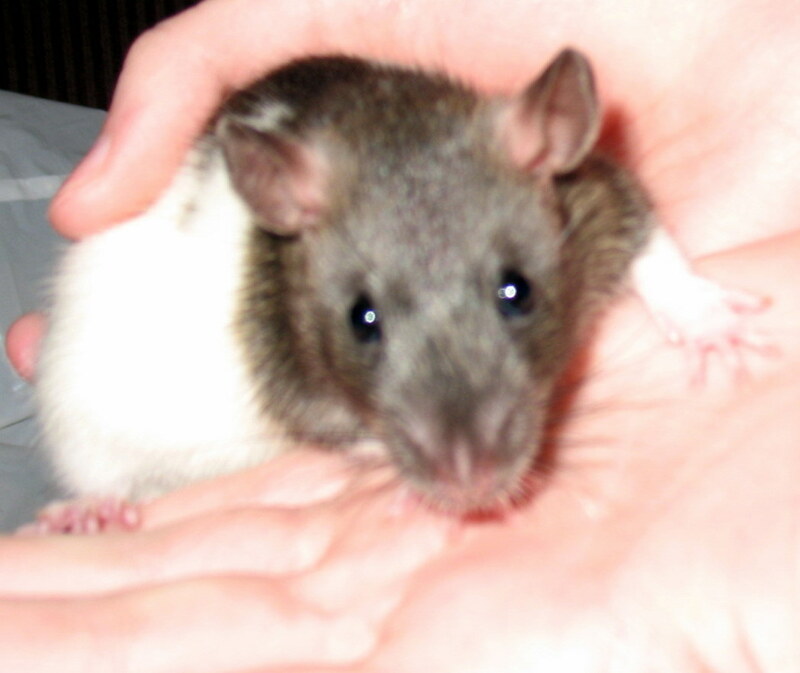 One, of course, was getting a new rat (NO, I have not named him yet…patience, Iago). The next was torrential rains on Sunday, which may not sound fantastic but actually is. And here’s why: (1) it was not snow; (2) torrential rains remind me of Home. I never really thought Fairfield was a cool place, and maybe it’s not so much, but I still think of it as Home. Besides…the weather is pretty hard to argue with. Sure, it gets hot in the summers, but if you had a swimming pool — or better yet, a friend with a swimming pool — you’d be alright. Anyway. I just liked having to leap over huge puddles in every driveway on Sunday (I went Visiting Teaching). So today, I am basking in the relative warmth by having the curtains up and the windows open. Sometimes nice things just happen. 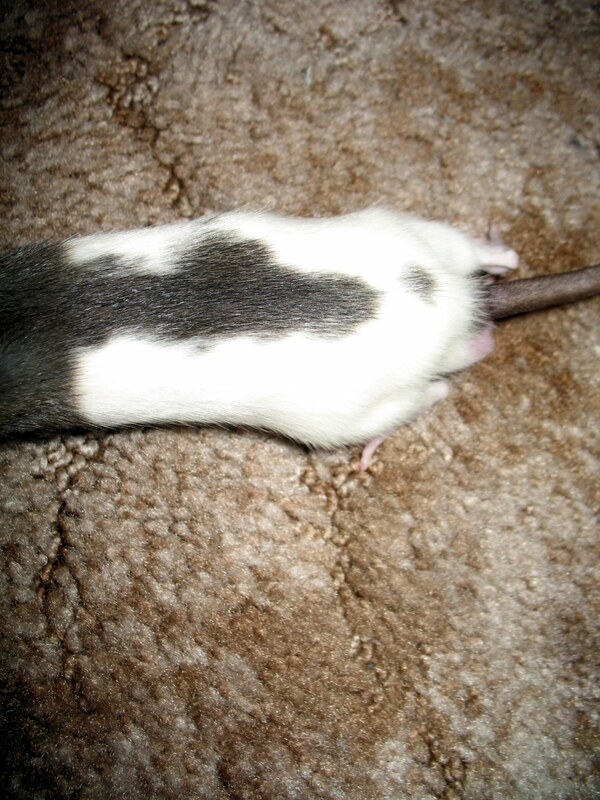 I’m glad I have a rat to share them with. So… he looks WAY bigger than P2 in this picture, but he is really only about half the size. So now we have a new rat-friend. I’m not as generous as Roni, so I’ll skip straight to the last step and let you vote for my favorite names. I don’t write anymore. It used to be one of my favorite things to do, but I seem to have lost whatever touch I had, as well as much interest in writing. Since most of my dear readers have probably not been reading my blog long enough to have seen this before, here is a piece I wrote in March 2005. After the break, some updates. I hate having you impose limitations on me. I want to decide how I’m defined; let me learn what my limits are. We allow children to have aspirations that may seem ridiculous, yet I am told there are some things I cannot ever dream of becoming. The fact is, though you say I’m just a young woman, I am other things as well. fascinating things you never imagined for me. Let me share with you just one aspect of what I am. Let me tell you about my life as a monolith. 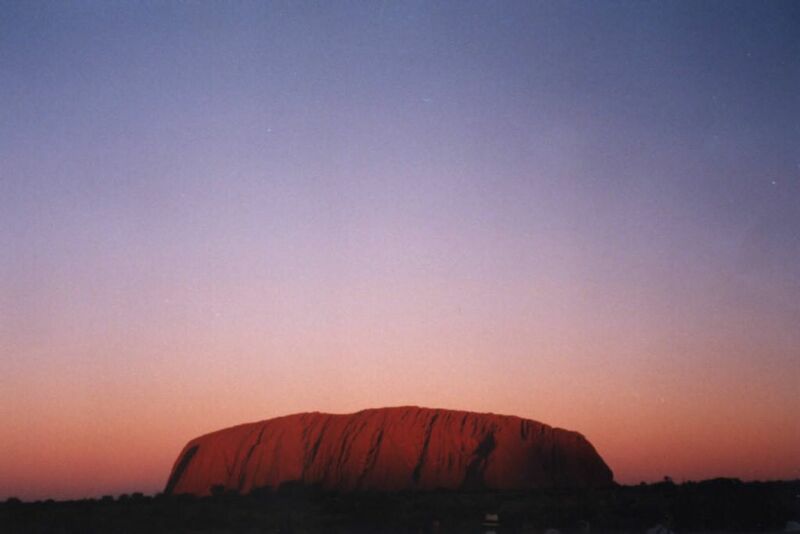 To this I add my own definition, based primarily on my knowledge of Uluru, also known as Ayers Rock. This magnificent monolith is, obviously, quite ancient. Anyone who has seen pictures can attest to the brilliant changes in the color of the rock depending on the time of day, weather, etc. And anyone who has visited Uluru knows there is something about it — nothing you could put in a dictionary, or even into words — that speaks. Well, how does that apply to me? It’s simple. Though there is something about me constant, ancient, unchanging — you could call it my soul — I will always be slightly different from day to day, moment to moment. Never the exact same color twice. But to really experience those colors takes time. It would be impossible for you to understand me by superficial, detached conversations, no matter how much you appreciated or admired me. Once we’ve deepened, though, you’ll see those things you never imagined for me, and there won’t be words. You’ll see past my outside to how vast and massive my soul is, the imposing monolith. Maybe then you’ll start to recognize similar traits in yourself, traits we all have in common. Then you can tell me about your life as a monolith. Well, since this is going to be my pet, I’m narrowing the list down. 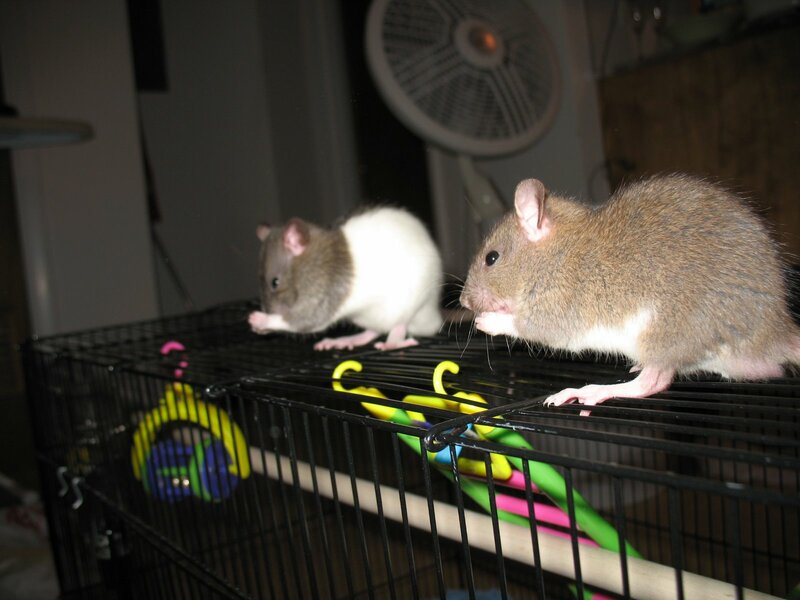 Please vote for your favorite of these three: Monkey, Cricket/Crispix (similar enough to me), Jasper. This is the only time he was still long enough to get a shot of his face. What should we name him? Vote now! The Romgi and I put off celebrating Valentine’s Day because we had no car and really no way of buying each other presents or going out for a date. We were vague about when the make-up holiday would be, since it wasn’t clear when the car would be fixed. We finally got it back on Thursday (miracle of miracles! ), and the Romgi surprised me today by coming home with presents. So I guess today is Valentine’s Saturday. The thing is, I don’t know what to name him. That’s where you come in. I’ll post a picture of him and if you want to suggest a name, leave a comment. We’re going to get him a friend (also male) next week, so that he has company while we’re out, but the Romgi will get to name the other new guy. P.S. I also got my very first box of chocolates (See’s, of course). In a heart-shaped box, no less! And the Romgi even remembered my favorites!